Gooseneck is a fitting description for the graceful flower spikes of this interesting bog plant. 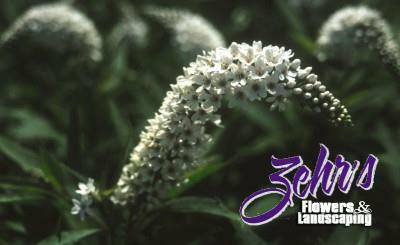 Blooms in July and August on tall stems to 3' in height. The flowers are white and look as though they are trying to bend back to the ground. Very tolerant of moist soils and will perform best where it is allowed to naturalize, especially by water gardens, bogs and the edge of the woods. It is a voracious self-seeder, so be careful where you place it in the garden or be sure to deadhead it when the flowers are spent. The flowers are excellent for cutting.